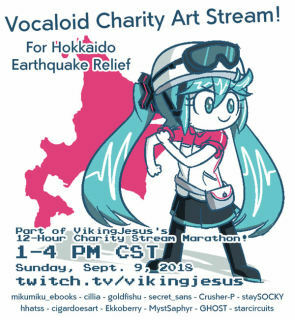 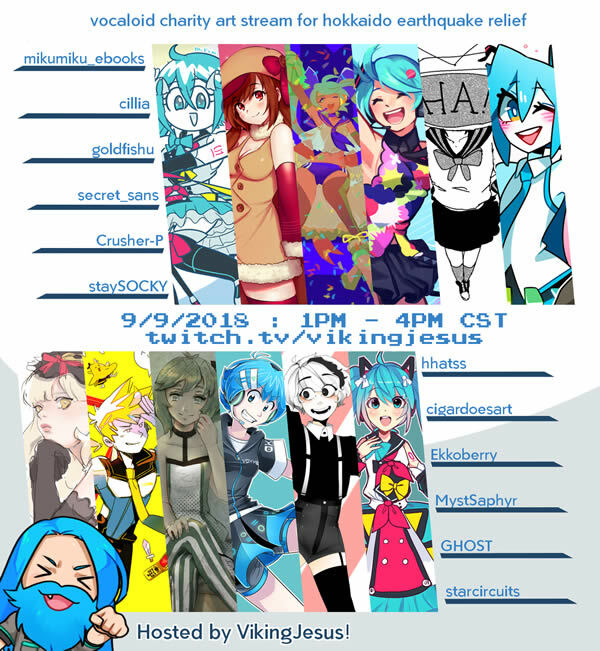 Starting tomorrow (or today, for some of you around the world) on September 9th, 2018 at 1:00 PM CST on Twitch, 12 Vocaloid illustrators will be joining a charity stream event hosted by VikingJesus to raise donations for the Japanese Red Cross to support disaster relief efforts for the recent typhoon and earthquake natural disasters that slammed the Kansai and Hokkaido regions of Japan. Stream donors will be able to make art requests from 12 participating talented illustrators, with all proceeds going to the Japan Red Cross. 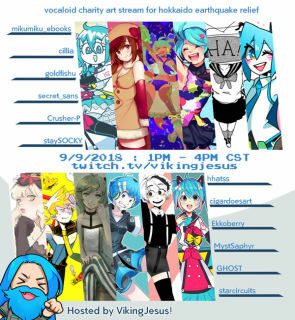 So be sure to tune in to join for good times, and help out!